iPaddle is designed as a wood paddle replacer. It is 30% lighter than a wood paddle and gives a much firmer catch due to its slimmer blade profile design in which wood is unable to achieve due to material property limitations. 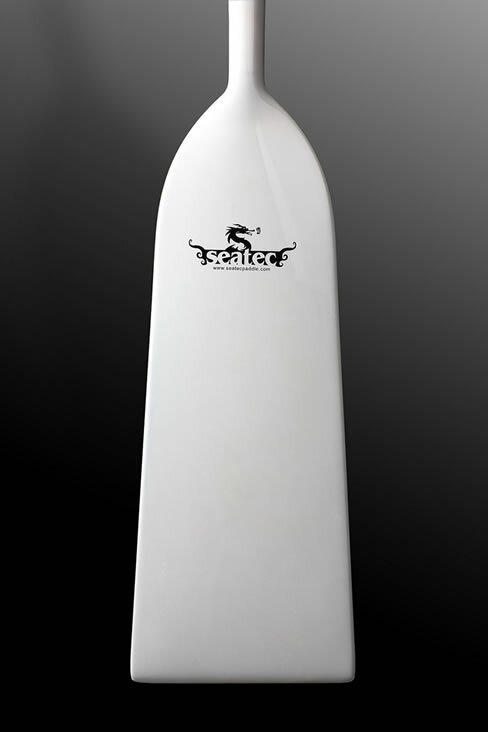 Fiber composite paddle can better withstand salt water and other harsh environment condition, it last longer than wooden paddles.We improve the stiffness and minimize flex of the paddle by studying the overall blade structure and apply reinforcement at the strategic location, thereby maximizing its strength to weight ratio while keeping the slim blade profile. At a weight range of 500g ~ 540g, iPaddle is lighter than some of the carbon fiber paddles in the market. It is ideal to be used for routine training as well as for dragon boaters who want paddles that perform near carbon paddle standard but at a fraction of the cost. iPaddle offers great performance with excellent value. Specification: IDBF spec202a approved, License 3242.